Want to spend a nice, relaxing day being treated like royalty? Wouldn't it be even better if at the end of the day, your skin was smoother and healthier? You can get all that and more when you enjoy the Getzville, NY medical spa services of Rejuvenere Medical Spa. A medical spa is essentially a high class salon run by a medical professional. We offer services like facials, skin care treatment, massage therapy, waxing, tinting, and nail services. All of these procedures have been carefully developed by Dr. Richard M. Junke, MD to be as beneficial to your health as possible. Each procedure has undergone clinical testing to ensure that it results in healthier skin and body for our clients. One of the important philosophies of our Getzville, NY medical spa is that every client has different needs. This philosophy guides how we treat our clients. 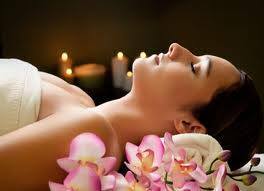 We customize our services to the specific health and beauty needs of the client. This means that your treatments will last longer and you will get better benefits from them than if we were to give the exact same treatment to someone else. One of the best ways to make someone healthier is to get them to relax fully. Massage therapy is one of the most consistently successful procedures for getting people to release their anxiety and for removing stress. Just like all of the other procedures we use at ReJuvenere Medical Spa, all of our massage therapy procedures have been designed to provide optimal health benefits and all massages are performed by experienced professionals who care about our clients. Massages are available in both 30 minute and 60 minutes sessions, in order to provide maximum scheduling convenience for our clientele. If you live in Getzville, NY and you want to release stress, get younger looking skin, or simply feel healthier overall, there is no better option than ReJuvenere Medical Spa. Contact us today to schedule your complimentary consultation before spending an amazing day at the premiere Getzville, NY massage therapy and medical spa.